Since 2001 students in Northeastern Illinois have been learning to play jazz through the Grayslake Jazz Combo Workshop, or GJCW. The workshop, open to musicians entering grade 7 through adult, organizes participants into jazz combos, complete with rhythm sections and horn players, where students advance their skills in performing and improvising over jazz tunes. 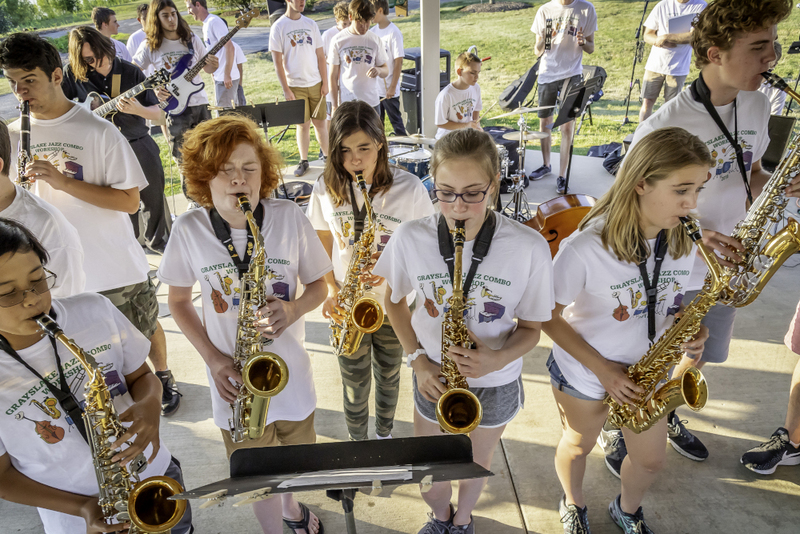 While school and community jazz bands offer some opportunities for members to take solos (improvise), the typical concert will include soloing space for only a few musicians. Our combo workshop picks up where these band experiences leave off and provides instruction on jazz improvisation, frequent opportunities to practice soloing in a risk-free educational setting, and multiple opportunities to perform with a jazz combo at concerts. Workshop instructors are experienced jazz improvisors and jazz educators with a passion for sharing their love of this exciting form of American music. Workshop participants come from area middle and high schools, colleges, and “schools of life” (adults). In recent years, as many as 45 students, divided into six combos have comprised the workshop rosters. Please see the menu to the right to learn more and register for this summer’s workshop.